The Duchess of Sussex has appointed her own delivery team to oversee the birth of her first child, it has been reported. Meghan Markle has broken from royal tradition by not appointing the Royal Household gynaecologists because she does not want “the men in suits” to supervise the birth, The Mail on Sunday reports. The paper said the 37-year-old, who is expected to give birth later this month, has appointed an “unnamed female doctor” to lead the team instead of Alan Farthing and Guy Thorpe-Beeston. The two gynaecologists attended at the arrival of all three of the Duke and Duchess of Cambridge’s children, it adds. A spokesman for the Royal Family declined to comment. However, it is understood that there will definitely be a role for the Queen’s doctors in the birth, but it might not be a prominent one. A royal source reportedly said: “Meghan said she doesn’t want the men in suits. She was adamant that she wanted her own people. It did leave a few of us a little baffled. Sources close to the Duchess stressed the ‘personal’ nature of her decision. In another break with tradition, it emerged last week that the Duchess has chosen not to give birth in the Lindo Wing at St Mary’s Hospital, Paddington, which has been used by several other Royal mothers. It is likely Meghan and Harry will choose a hospital nearer to their new home, Frogmore Cottage at Windsor, for the birth. 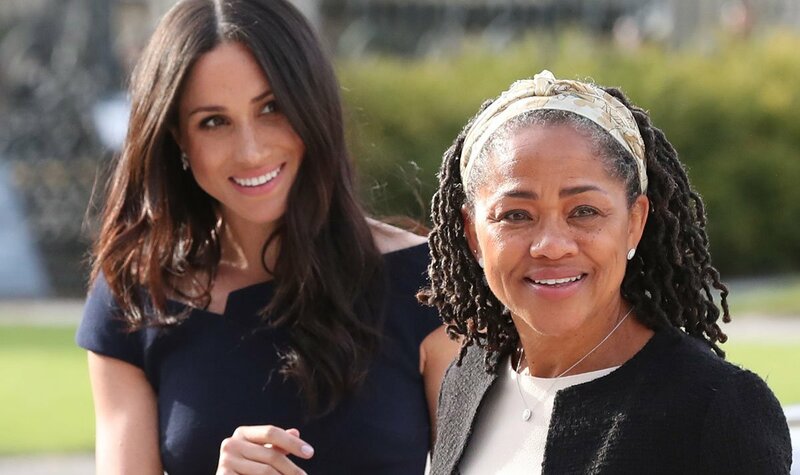 Meanwhile, Meghan’s mum is flying over from LA to be by her side as she prepares to have her first child. But sources say yoga teacher Doria Ragland, 62, is unable to stretch out her stay as she has to go home to look after her dogs. It can also be revealed that Prince Harry’s bride is decorating their new home with posters from her old “bachelorette pad”. Meghan will be adorning the Grade II listed home, south of Windsor Castle, with expensive art work and has dotted pictures of family and friends around the place.She has also swapped interior design tips with Victoria Beckham. Frogmore used to accommodate royal staff but has been renovated to be a family home.The Mirror reported earlier today how a charity was left stunned after gaining the royal nod on social media. The Little Village charity that collects good quality clothes, toys and kit for kids aged under five for families in need was left “completely astounded” when it was mentioned by Meghan Markle and Prince Harry ‘s new Instagram account.